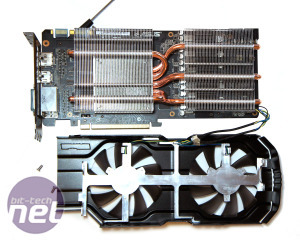 One thing's for sure, Asus didn't make it easy to get the cooler off. 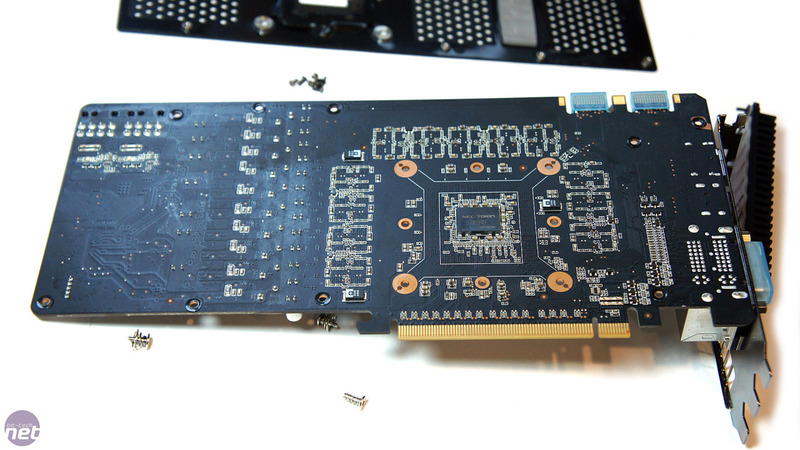 It takes a little while to work out where that last screw (or two) is holding the fans and shroud on! 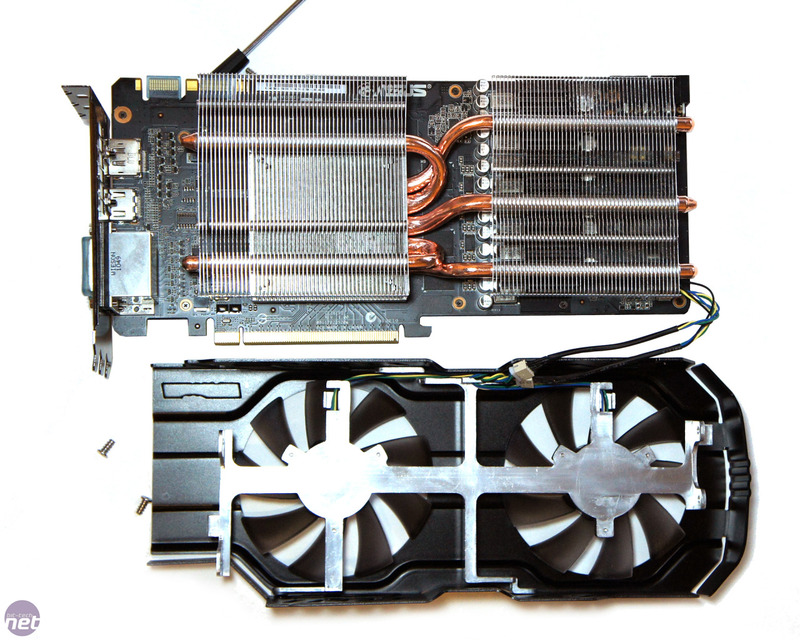 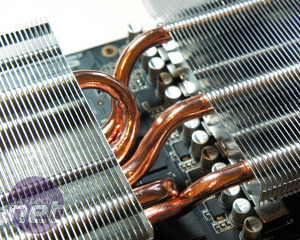 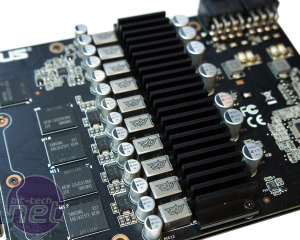 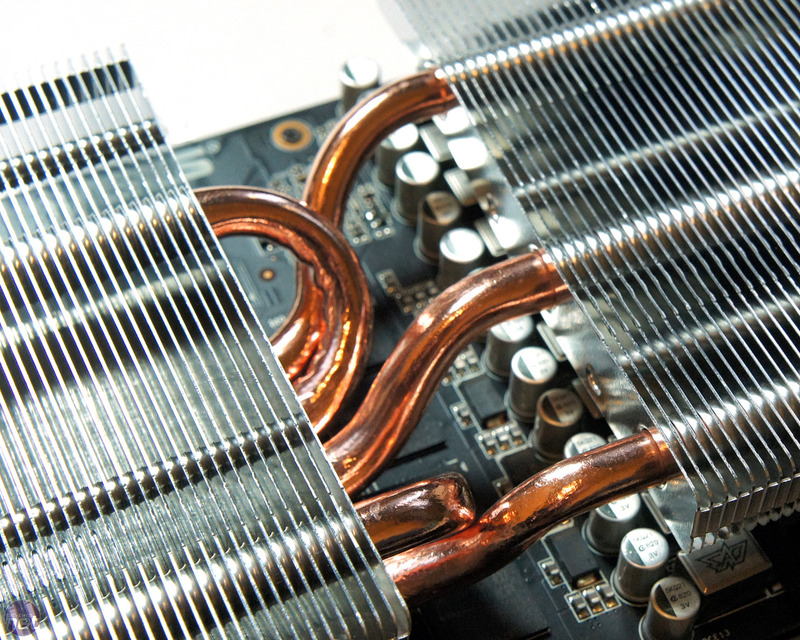 Unsurprisingly there are actually two separate heatsinks with three heatpipes in one, and two in the other. 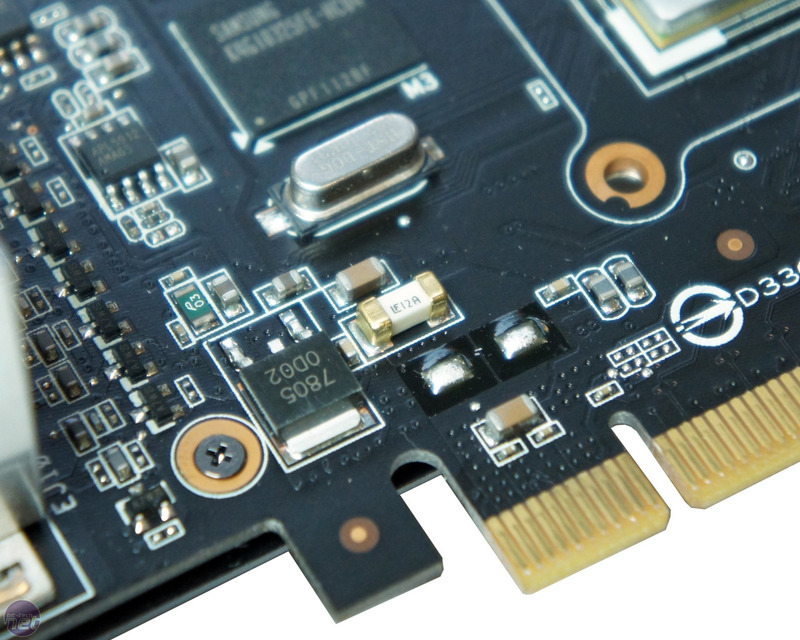 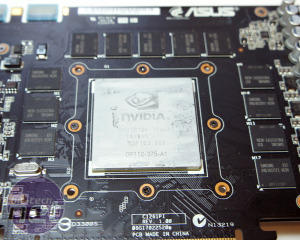 Asus hasn't added heatsinks to the memory however; instead the 1.5GB of GDDR5 only receives second-hand air after passing through heatsink above. 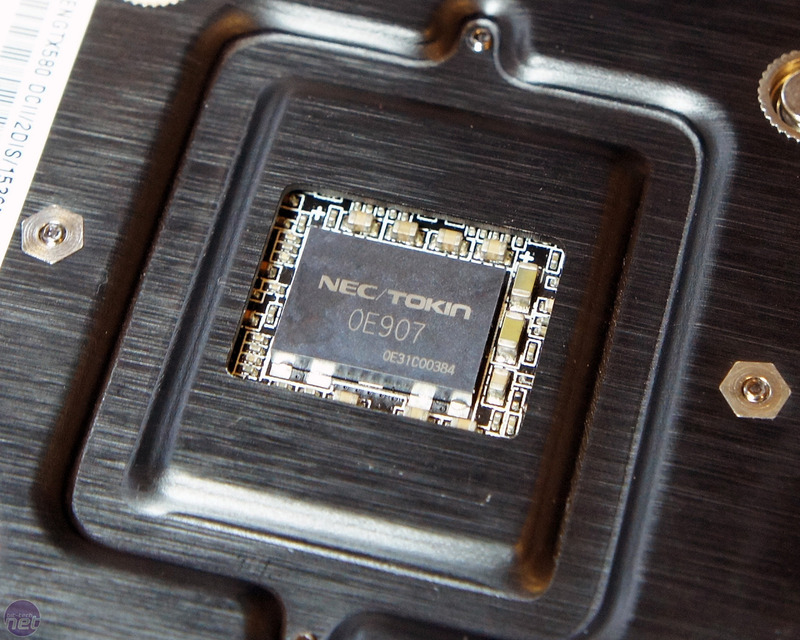 The ten power phases (we think 8+2) use Asus' new 'Super Alloy' technology, which it claims improves performance while also operating at a lower temperature. They even come a with laser etched 'SAP' on top for good measure. 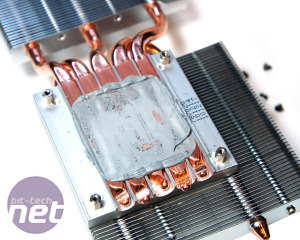 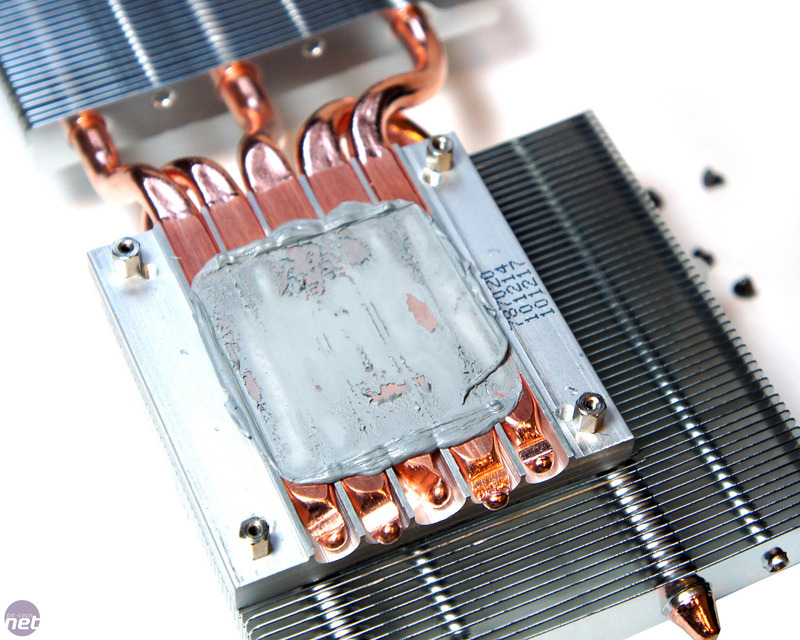 All those MOSFETs receive coolin gin the form of a separate heatsink that's screwed directly on top, as well as a thermal pad attached to the metal plate screwed on the back of the card. 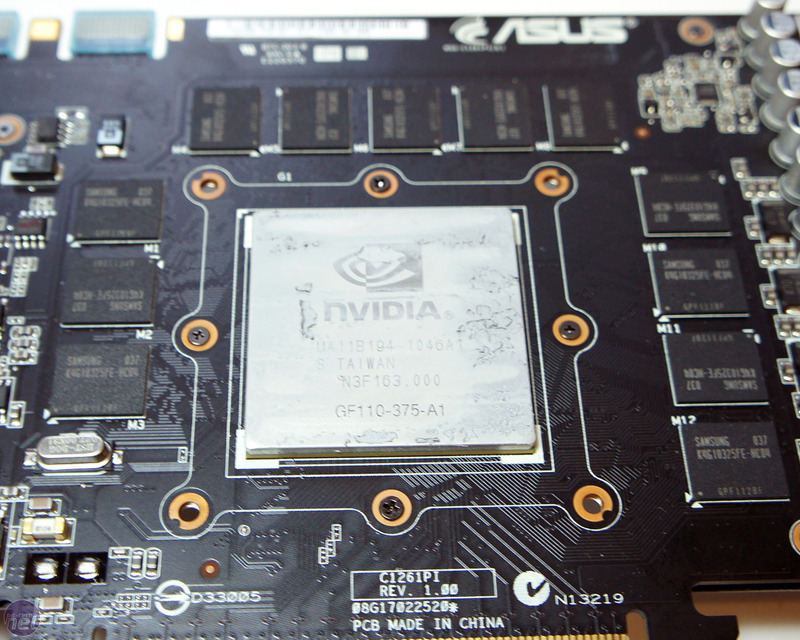 Asus uses its own-branded power controller, dubbed 'SHE', which is short for Super Hybrid Engine. We don't know whether the physical chip was actually developed in-house or if it's just stamped SHE, but the name indicates that it uses the same power regulation technology ported over from Asus' laptops. 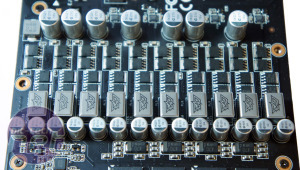 The SHE adjusts the clock speeds and voltages beyond the normal settings to deliver more performance under load and also save more power when idle. At least, that's the theory. 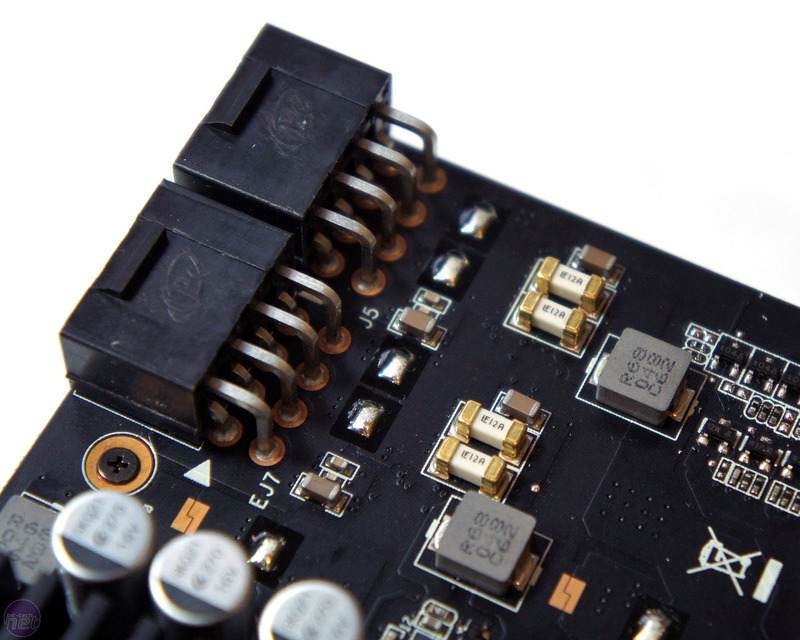 Behind each power plug and the PCI Express power connector Asus also includes some additional, chunky fuses (the gold and white rectangles) to help prevent catastrophic failure from power surges. 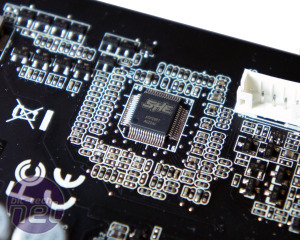 On the back of the core there's a large, high power NEC Proadlizer that gives some additional power reserve (with a lower ESR than usual), in addition to the few High-c capacitors and normal aluminium-capped capacitors used by the VRMs on the opposite side. 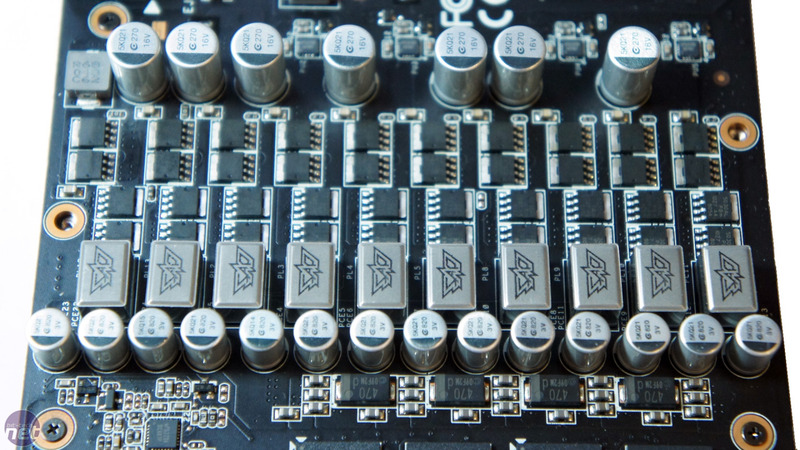 There are no voltage readout points or BIOS switches, but Asus has never really built cards with extreme overclocking features, and the DirectCU range isn't part of the Republic of Gamers range either. 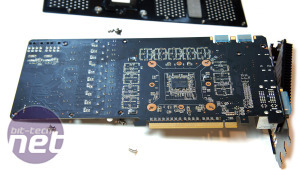 Speaking of which: where is the RoG GeForce GTX 580 1.5GB or Radeon HD 6970 2GB, Asus?